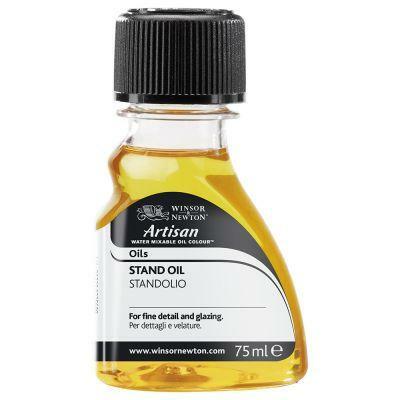 Stand oil is the most durable type of linseed oil. It is part polymerised by being heated in the absence of oxygen. This joins the oil molecules together leaving less space for oxygen and hence a longer drying time. The benefit of Artisan Water Mixable Stand Oil is that it produces a paler, more flexible film with excellent levelling properties. It is therefore a good glazing medium and can be combined with water or Thinner for this purpose. It also increases gloss and transparency.